We understand that every business is different. No matter what stage your business is at or what challenges it might be facing, HRM offers a wide range of recruitment services to meet your needs. We recruit day in, day out. This means we are across the latest market trends and can provide you with up- to-date information about your recruitment project. Our services include: Permanent placements, temporary placements and customised recruitment solutions. At HRM, we are trained in the practice of matching vacant positions with capable candidates, using behavioural interviewing techniques, skills testing and psychological testing to name a few. We’re so confident we’ll find the right candidate to suit your needs that we’ll put our money where our mouth is; if one of our chosen applicants doesn’t work out, we’ll find you a replacement free of charge. Whether your receptionist calls in sick for the day, your labourer takes four weeks of annual leave, your store manager goes on maternity leave, a project is falling behind and you need an extra set of hands quickly or you have a role but the budget hasn’t been finalised for it to go full time, we have the temporary placement solution for you. Best of all, we cover all statutory costs including superannuation, workers’ compensation, payroll tax, public liability and casual loading. The candidate is placed on our payroll and insured under our Work Cover arrangements, minimising paperwork and saving you time. Our temps are rigorously screened to verify their credentials, capabilities, skills and qualifications. As with permanent placements, we’ll always find you a replacement candidate on the rare occasion that we don’t get it right the first time. Selecting the wrong candidate for your workplace culture or someone who doesn’t have the right skills or capabilities can be very costly! During our initial review of your organisational requirements, we complete an analysis of your workplace, the job and its function and will produce a relevant position description and list of personal requirements which can be used throughout the recruitment process to identify the perfect applicant. Our team’s industry knowledge and access to the latest market salary data ensures we are able to provide salary information on comparable roles in comparable locations so you can determine the appropriate salary for your vacancy. At HRM, we possess an in-depth understanding of workplace trends and can provide you with local industry knowledge and recommendations on the best approach for sourcing suitable candidates. 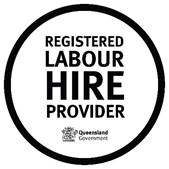 We also maintain an extensive database of registered candidates and make use of our broad advertising network to assist in identifying the best person for each job. Time poor? Never fear! Our team can manage everything from advertising, enquiries and application receipt, right through to culling, testing, interviewing and shortlisting candidates. We involve you where it counts — final interviewing and selection — so you can focus on the day-to-day running of your business. We have a number of tools available to assist us in identifying whether shortlisted candidates are the right ‘fit’ for your workplace, including behavioural interviewing techniques, skills testing and psychological testing. These tools are used as part of a holistic interviewing approach to identify candidates’ strengths and areas of fine tuning so you can make an informed decision about the candidate that will best fit your organisation. Sometimes having the job completed by a contractor will be most suitable for your operational needs. We are able to select the best contractor for the job, validating their contractor status and eligibility to work under this umbrella. We prepare them for your work environment and conduct workplace safety inductions as well as identity and police checks. Our team can effectively mediate negotiations between you and your newly hired candidate, ensuring communication between both parties is clear, effective and hassle-free. HRM monitors the progress of an appointed candidate for the duration of the agreed guarantee period and provides advice and assistance where required to ensure both the client and candidate are satisfied with the appointment.